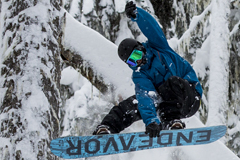 Join us in Niseko, Japan on Jan 21st 2019 for Pro Ride's Japow Expedition. 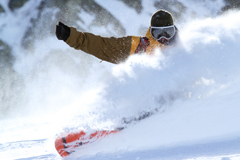 The trip will be 9 Days of fun filled powder days, tree riding, fantastic food and amazing adventures. We will fly into Chitose Airport in Hokkaido, Japan on and take a charter bus to the resort village of Niseko for 9 nights accommodations where we will be spending the next 8 days exploring the 4 different resorts Niseko has to offer. Niseko is regarded as one of Japan's top resorts. Equipped with an efficient lift system of gondolas and covered chairlifts, you can ride in comfort on even the most extreme blizzard days. 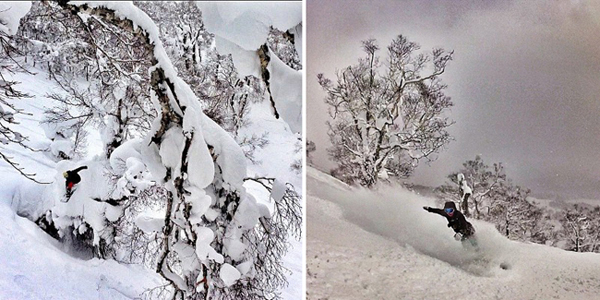 Bad weather does not mean bad visibility in Niseko as the resort has an abundance of tree runs. It is low in altitude so rarely do you experience true whiteout conditions that are often found in European resorts of higher altitude. Niseko is made up of 5 different resorts: Annupuri, Higashiyama, Hirafu, Hanazono and Moiwa. Your lift pass provides access to 4 of the 5, the only exception being Moiwa, a smaller resort on the western side of Annapuri. We will be staying at Hirafu where the with easy access to Annupuri, Higashiyama and Hanazono from the top of the mountain or by shuttle bus. This camp is designed for the rider who wants progress their riding whilst exploring all that theses Japanese mountain have to offer. This is guaranteed to be a great laugh and an amazing chance to ride some of the lightest snow in the world. Your ability should level should be of an intermediate level or better, as we will be riding steeps, hitting jumps and making the most of the conditions. If you have any concerns about your ability please contact us. A deposit of $500 is required upon registration and due to the nature of the trip final payment is due 2 weeks later. Spaces are limited so if you are planning to join us make sure to email and reserve a place.